Zong has signed a MoU with Nokia Care according to which both SIMs of Zong will be available at all 18 Nokia Care centres across Pakistan while Nokia phones will be made available for purchase across all Zong Customer Service Centres (CSC) in Pakistan. The MoU was signed at Zong’s headquarters in Islamabad. This collaboration is a first of its kind in the robustly developing telecom market in the country. According to the partnership, both the companies will be able to increase their outreach to customers and facilitate them in a better way by offering bundled solutions. Commenting on the occasion, Mr. Arif Shafique, country general manager, Nokia Pakistan stated: “Nokia Pakistan and Zong have joined hands to promote a unique collaboration in the telecom sector due to which the two companies will be able to set a new standard in customer facilitation. As customers remain at the heart of all Nokia products, we want to provide them with the best mix of products and services. Nokia has always envisioned connecting the nation together and thus we take our vision further through such endeavors. Our devices enable our customers to get the most out of their social lifestyle by connecting with everything that matters to them. The availability of Zong SIMs at all Nokia Care centres means that our customers can now benefit from a reliable cellular network that is today Pakistan’s fastest growing cellular network”. The telecom market in Pakistan is growing at an exponential pace and Zong, – a China Mobile Pakistan (CMPak) company and part of China Mobile, the largest telecom operator in the world, is a significant part of the process. Being the fastest growing cellular company in the country, it constantly strives to deepen its network through similar initiatives. This way, more and more customers can become a part of the Zong family. Nokia mobile phones combined with Zong network can take the mobility experience to a whole new level. Extending the reach of formal financial services to include the very poor living in the most remote areas of the developing world, is not a new idea. And yet three quarters of the world’s poor still have no access to a bank account, reports the World Bank in their global survey. The problem is the high cost of secure and reliable financial services, particularly in inaccessible rural areas. The solution is already out there argued Bill Gates at the Alliance for Financial Inclusion Forum this September, "Digital can lower the cost of a range of transactions by as much as 90%, providing nearly universal access to innovative financial products and services”. But, then why have these digital solutions not reached the world’s population who earn less than $2 a day and have the greatest need for efficient tools for managing the little money they have? Some countries have pioneered this solution. Kenya’s M-PESA mobile money product has demonstrated its utility subscribing 75% adults, and similar services in Tanzania and Bangladesh are also showing great promise. However, the majority of digital finance providers have failed to emulate this success. The secret seems to be the ability to copycat selected best practices, while listening intently to local market demands. The Helix Institute of Digital Finance (www.helix-institute.com), a training and information institution for digital financial services, will launch next month in Nairobi to address these and other issues through training courses, operational, and other technical support. As a partnership between the Gates Foundation, the World Bank’s International Finance Corporation, the UN Capital Development Fund (UNCDF) and MicroSave, Helix’s mission is to help digital finance practitioners increase efficiency, improve profits, and extend financial services to low-income and rural communities globally. The Helix Institute of Digital Finance was launched as one pillar of MicroSave and the Gates Foundations’ Agent Network Accelerator project, with the overarching goal of increasing global understanding of how to build sustainable cash-in/cash-out mobile money and mobile banking agents across a broad geography. The first pillar of the project is research where they will carry out around 20,000 detailed assessments of more than 25 mobile money and mobile banking agent networks, in eight countries (Uganda, Tanzania, Kenya, Nigeria, India, Indonesia, Bangladesh and Pakistan), twice, over a period of 4 years. This level of research has never been done before. They have just completed data collection from 7,000 agents operating in Kenya, Tanzania, and Uganda and will be going into Pakistan at the beginning of next year where they will be carrying out around 2,000 assessment. The second pillar is the launch of The Helix Institute of Digital Finance where the cutting-edge operational insights and best practices acquired and learnt from its research will be disseminated. However, the institute has evolved beyond Agent Network’s, as they saw the huge benefit and demand of offering operational training courses beyond Agent Network Management. They will therefore go on to offer courses on different subjects such as Risk and Fraud Management and Digital Financial Services for MFI’s. Their course is open to global participants, so they hope to receive some visionary mobile money and mobile banking practitioners from Pakistan in due course. Due to an overwhelming demand, the first course in November is already fully booked. Helix’s first training course is on agent network management, 18th-22nd November 2013 in Nairobi, Kenya. Wateen has successfully closed a new opportunity in the Energy Sector. Over the last year, USAID has been heavily investing in Pakistan to help alleviate the energy crisis and help the power companies improve their energy distribution. IRG, subcontractor of USAID Power Distribution Program, is conducting a pilot project of installing GSM meters at 5 DISCO in Pakistan including Islamabad, Lahore, Peshawar, Multan & Hyderabad. Wateen has managed to win the data connectivity & co-location project for power distribution program of USAID/IRG. Wateen won the contract due to its efficient technical solution planning and strong after-sale services. As per the latest contract, Wateen would provide Data VPN fibre connectivity at 12 sites for the 5 DISCOs, with backup links on ISM radios and will also be co-locating the equipment at Wateen’s Hosted Data Center. USAID programs in Pakistan are focused on five key areas: energy, economic growth, stabilization, education, and health. Wateen is providing its cutting edge services to USAID to ensure that programs are responsive to local needs and have a sustainable impact. Zong – a China Mobile Pakistan (CMPak) company and part of China Mobile, the largest Telecom operator in the world has taken active steps to provide immediate relief to the earthquake victims of Balochistan. In collaboration with the earthquake relief efforts of Pakistan Red Crescent Society (PRCS), Zong’s CSR activities will focus on the areas that were worst-hit by the earthquake - Labach and Tir Tej Tehsils of Awaran District, Balochistan. Zong has launched a well-planned strategy to provide fast and effective relief to cover maximum earthquake victims of Baluchistan in the shortest possible time. 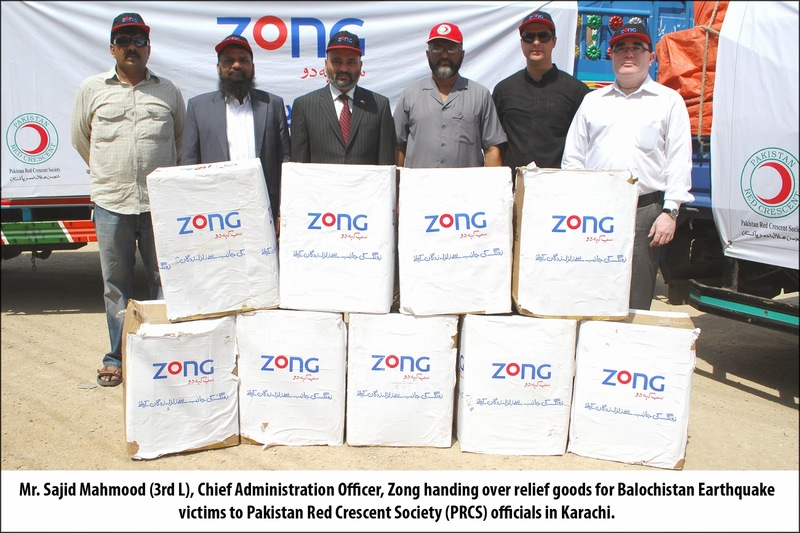 In the 1st phase, Zong will be sending food relief from Karachi for immediate consumption in partnership with PRCS to the relief camps in Labach. In the 2nd phase, food relief will be sent to Tir Tej Tehsil of Awaran District just before Eid. Pakistan’s cellular network of choice, Zong once again steps up to demonstrate its continued commitment to Pakistani nation at the time of this great affliction and further stresses that the Balochi brothers and sisters in dire need of help have not been forgotten. Last week, Balochistan was hit by 2 major earthquakes with a gap of four days. The earthquakes with the intensity of 7.7 and 7.2 magnitudes respectively, jolted the Awaran and Kech district of Baluchistan, turning the majority of mud brick houses into rubble in a matter of seconds. According to the latest report issued by PRCS, death toll has reached 376 while the number of injured is estimated to be 824. On a larger scale, an estimated 185,000 people have been affected by the earthquake. Zong has exhibited continued commitment to the social well-being of Pakistanis by always taking a stand for them at the time of difficulty. 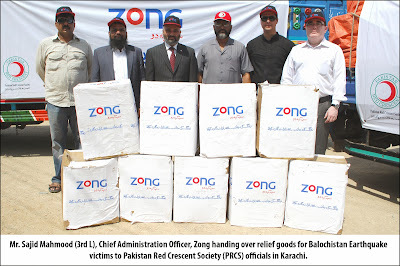 In the past, Zong also made a dedicated and consistent contribution for the relief of the flood victims of Sindh. By undertaking a wide range of CSR activities on a regular basis, Zong touches not only the lives but the hearts of every Pakistani. Pakistan follows Saudi Arabic, where Viber is prohibited, banning Voice-over-Internet Protocol (VoIP) and Instant messaging clients Viber, Skype, WhatsApp, Tango and other communication networks for three months in the Sindh Province for security reasons, Express News reported today. Having switched over from regular mobile services, these networks would be banned because terrorists are using them. The decision has been taken during a meeting between Sindh Chief Minister Qaim Ali Shah and other officials including the additional IG Karachi, DG Rangers and representatives of intelligence agencies. 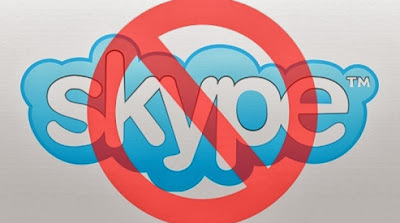 A number of temporary cellular service blocks were implemented in 2013 by the government as an anti-terrorism measure and In 2011, it was ordered by the government to Internet Service Providers (ISPs) to discontinue all virtual private network (VPN) services in Pakistan for security measures. A recent survey carried out by the Four Corners Group, a well known business solutions agency, revealed the changing dynamics of the father-child relationship and how it is being viewed by Pakistani mothers. The first of its kind survey, titled ‘Kitna Love Index’ was conducted in 2 key metros of Pakistan namely Karachi, and Lahore where mothers from the age bracket of 25 – 40 years belonging to upper SECs were surveyed. Four Corners Group specializes in providing complete business solutions based around Consulting, Research and Training, and has done key qualitative and quantitative research for clients from all the major industries in Pakistan. This research was conducted to understand the shift in family dynamics, its impact on the mothers of today and the importance of the father in a child’s life. The Kitna Love Index’s main finding shows a staggering 97% of the surveyed mothers who are happy with the overall time they, as parents, spend with the children. But 33% of the surveyed mothers feel that their husbands do not spend as much time with the children compared to the amount of time their own fathers spent with them in the past. Some mothers feel that the father- child relation today is different as compared to the previous generation and believe that their husbands need to have a better work life balance as it affects their relation with their children. 85% respondents also stated that the father is an ideal of their children and they take the relationship with them to be of trust, respect and love. These findings emphasize a shift in the family structure and dynamics over the past couple of decades brought on by the changing economy. The Kitna Love Index highlights how compared to the previous generation, today’s fathers are now managing multi-faceted roles where they are friends, confidant, guidance providers and mentors in a child’s life compared to before where the father was more of a strict and authoritative guardian of the family. This change in the nature of the father-child relation is because of better education and fathers’ awareness about their role in child upbringing. Fathers today try to keep a check on the values and principles that they want their children to adopt through various bonding activities, according to the respondents, but they cannot manage to give the same amount of time to the relation as compared to the fathers of yester years. The Kitna Love Index attempts to quantify the amount of quality time that families spent together celebrating the childhood of their kids. It also reflects upon a growing amount of mothers who realize the importance of the special bond between father and children. In another finding of the survey, 97% of the respondents agreed to the fact that a father plays an important role in the child’s upbringing. It shows that urban Pakistani mothers are increasingly aware of the critical role that father’s presence plays in building a child’s personality especially to deal with people with confidence. International research shows children who spend a lot of time with their father are better learners and have higher self-esteem than others. Experts make it clear that youngsters with a supportive father have a greater sense of social acceptance. They learn to be more physically active and have better social awareness as the father’s child-rearing methods complement the mother’s. In Pakistan, helping children with their studies, watching TV together, playing video games and sports, and snacking together are the four most common father-child past times which compliment the activities between children and their mothers. For parents it can be difficult to find the right balance between family, work, and leisure time, but regardless, they try finding plenty of opportunities to connect with their children on a daily basis. These connections happen at mealtimes, during commutes, and by engaging in leisure activities as a family. The Kitna Love Index reaffirms that today’s Pakistani mothers are now more aware and conscious of the father’s responsibility towards the child’s emotional development and believe the fathers of this generation need to be more aware and appreciative of whatever opportunities they get to celebrate the child’s special moments. After just three years of going public, Wateen Telecom Limited (KSE: WTCL) is going private; has returned to its UAE-based majority shareholder, Warid Telecom International (WTI). Last week, the KSE board approved WTIs voluntary delisting request dated March 28, where the latter will buy back, under delisting regulations, Wateens ordinary shares listed on the three bourses at a minimum price of Rs. 4.50. Wateens management has called an extraordinary general meeting on Tuesday, 15th October 2013, to seek its shareholders approval for the voluntary delisting of the Companys shares from all three Stock Exchanges in Pakistan. "WTI has assessed the position and believes there is no longer any equity value in the business for existing Wateen shareholders; and that without significant restructuring, which can only be executed if the business is taken private, the business will face an uncertain financial future which is likely to result in the crystallisation of a substantial shortfall for creditors." The sponsor-which is part of the Abu Dhabi Group and now fully owns Warid Pakistan-sounded confident that ordinary shareholders will get a good deal, given Wateens woes. "WTI believes that the de-listing provides the shareholders with an exit from the business at a return of value which is in excess of that which they would receive on an orderly disposal of the business." There are questions as to whether Wateen-a Company that holds licenses in key telecom segments and owns vast fiber optic infrastructure and connectivity networks-would be able to straighten out its financial issues. The Companys balance sheet is said to be saddled with an outsized amount of debt. It had declared an after-tax loss of Rs1.71 billion for the nine-months ended March 2013. Wateens business prospects currently offer a mixed picture. While business is said to have improved in segments like long distance and international telephony as well as carriers business, the Wimax broadband services are bleeding the Company in a competitive market of low customer loyalty. But given the right focus and investments, Wateen can give other market participants a serious run for their money. In this context, all punditry is now focused on whether the sponsors fresh equity shots can stand the test of time for a revival in Wateens fortunes.